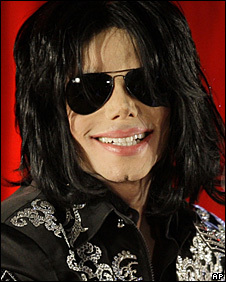 Michael Jackson's residency at London's O2 arena will continue well into 2010 after the singer added more dates to his farewell tour. The veteran pop star will now play 45 nights at the venue, with seven shows planned for January and February. Pre-sale tickets for Jackson's first ten dates sold out on Tuesday but some fans complained of "technical problems" trying to register online. Ticketmaster director Chris Edmonds said demand was "unprecedented". He added: "Unfortunately due to a technical issue, we were unable to facilitate all immediate ticket requests. Apologies to those fans who were unable to log on, but fans should keep on trying to purchase tickets." Additional codes are being issued, the organisers said, with registration being dealt with on a first come, first served basis. The pre-ticket sale will close later with the rest of the tickets going on sale to the general public from 0700 GMT on Friday. Tickets for the Jackson shows are already being sold on the online auction website eBay. Prices on the site range from £170 to £10,000, but tickets bought directly from the singer's website or Ticketmaster cost up to £75. The final date listed on the singer's website is 18 February 2010. Jackson, who has won 13 Grammy awards, has said this will be the last time he will perform in the UK. In August and September 2007, Prince played 21 concerts at the O2 arena together with a number of aftershows at its club venue, Indigo. Can Jackson pull off a comeback? Michael Jackson: Still King of Pop?